While Northern Tanzania lays claim to the world famous and popular wildlife reserves of the Serengeti and Ngorongoro Crater, the game parks of Southern Tanzania offer equally impressive wildlife experiences away from the safari crowds. Parks like Selous Game Reserve (the largest in Africa) and Ruaha National Park provide visitors with authentic safari experiences in largely untouched savannahs, with chances to see the Big 5, other predators and numerous game species. Selous Game Reserve in southern Tanzania has excellent game viewing away from the crowds of the more popular and famous national parks further north, offering an authentic and untouched African safari rarely found today. At almost 55,000 km² it is the largest wildlife sanctuary in Africa, four times the size of the Serengeti. Selous is home to elephant, buffalo, rhino, giraffe, waterbuck, hippo, leopard and lion amongst other species as well as abundant birdlife. Ruaha National Park is Tanzania's second largest park and one of its wildest, receiving far fewer visitors than other reserves. The Great Ruaha River which flows through the park creates spectacular gorges and scenery and swarms with hippos and crocodiles. 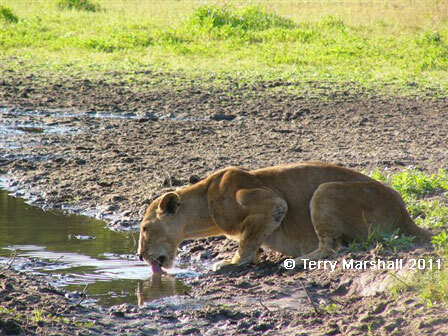 Ruaha is known for its huge herds of elephant and buffalo, as well as kudu, sable and roan antelope and waterbuck. Feasting on this game are leopards, lions, cheetahs and rare wild dogs. 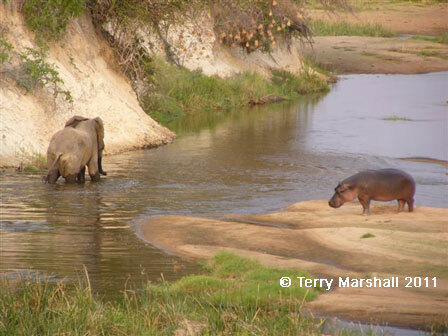 Mikumi National Park in southern Tanzania offers opportunities to view hippos, elephants, buffalo and lions as well as eland, kudu and sable antelopes.